Students enrolled in this program earn a Bachelor of Arts in Marketing. The program prepares graduates to assume positions in brand management, product management, new product development, sales force management, advertising and marketing research. Further, the program prepares students for post-baccalaureate studies in marketing or business. To develop students’ critical thinking and refine their analytical, problem-solving and decision-making skills. To develop a conceptual understanding of a complex and changing environment and its effects on marketing activities and institutions. To examine the role of marketing in the socioeconomic system and the major decision areas of product planning, pricing, distribution and promotion. To explore the dynamics of consumer behavior and the social, cultural and psychological factors influencing their purchase decisions; to analyze existing models of consumer behavior and their role in formulation and implementation of marketing strategies. To examine widespread methods and techniques of marketing research and to provide the skills to analyze demand, market segments and cost-volume profit relationships of marketing programs. To explore the process of strategic planning and the development of marketing strategy. 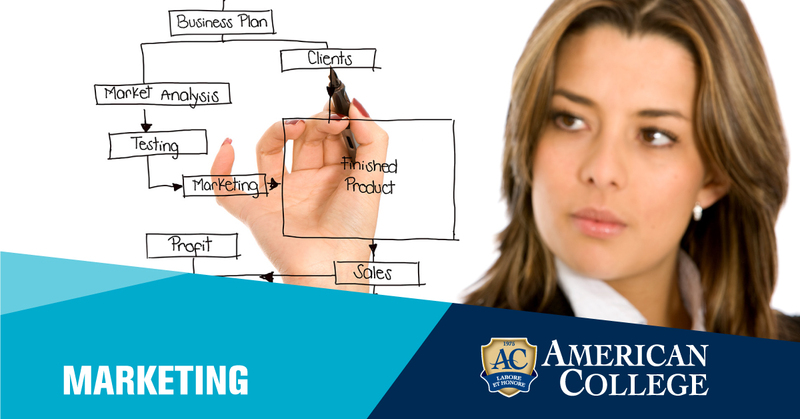 To develop skills in formulating, implementing and monitoring comprehensive marketing plans. To provide students the academic, technical and intellectual background that would enable them to continue their education in high-quality graduate and professional schools. Understand and apply the marketing concepts of consumer behavior, integrated marketing communications, marketing research, marketing analysis, services marketing, business to business marketing, and global and international marketing. Manage the marketing process to create value for the organizational stakeholders by developing marketing strategies based on product, price, place and promotional objectives. Demonstrate multi-channel communication with the use of conventional and contemporary tools to communicate the unique marketing mixes and selling propositions for an organizations’ offerings. Deploy systematic collection, processing, and analysis of consumer data to make informed marketing decisions, and to analyze marketing problems and provide solutions based on a critical examination of these marketing information. Develop comprehensive B2B and B2C marketing plans, based on customer and market research that reflect an organization’s domestic and international strategic vision. Develop a strategically focused integrated marketing communications plan, based on research and on brand analysis, on competition, and consumer behavior, using appropriate communications strategies.